Kendra Beaudet has worked tirelessly to energize the Builta Elementary School PTA and has done it successfully with nothing but a smile on her face. 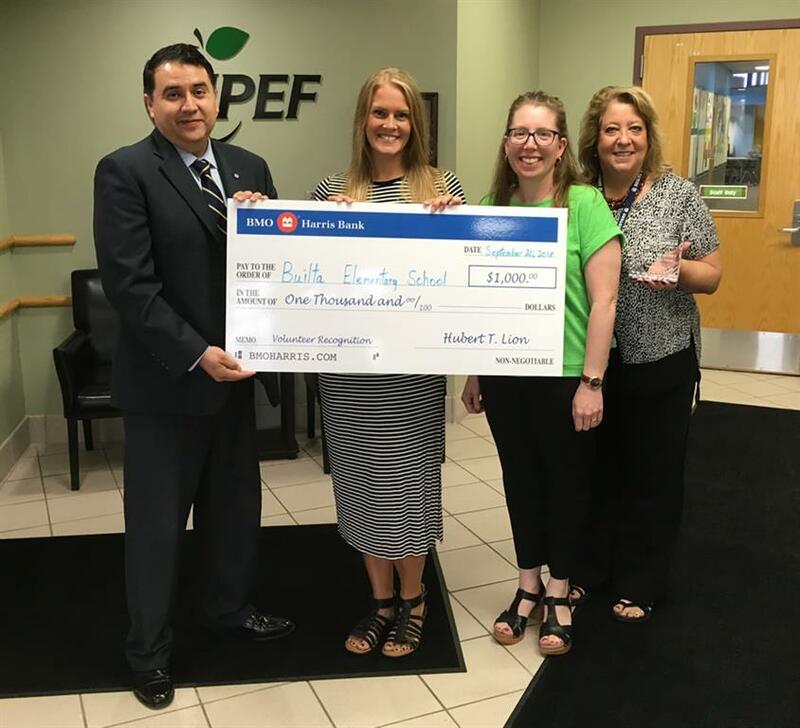 Because of her extensive involvement in Builta's PTA, she is being honored as the September BMO Harris Bank District 204 Volunteer of the Month. Kendra ran every event the PTA had last year, from fundraisers and changing the outside sign, to Bingo and Walk to School. Her nomination states "She took the initiative to get the details, round up help and make things happen. When it came to Teacher Appreciation, she single handedly got every raffle prize from local businesses and we had enough items to pick five teachers every day for the entire week." Because of Kendra, Builta had the most successful bingo nights ever and the multi-purpose room was full every time. So full, in fact, they ran out of chips and had to get more. In addition to the Builta PTA, Kendra volunteers for Cub Scout Pack 887, Feed My Starving Children, the Salvation Army, Run to Remember and Alex's Lemonade Stand. She is a big advocate for "talking the talk and walking the walk." Kendra and her husband find it important to show their children that there is always time to give back, whether it be financially, materially, lending your time or simply by writing a note. She says "When my children see me volunteering at Builta, I hope each will recognize that I'm an active participant in their education, school, and world."